Richard-Jonathan Nelson is a multi-disciplinary artist who uses textiles, video, and digital manipulation to create alternative worlds of speculative identity. 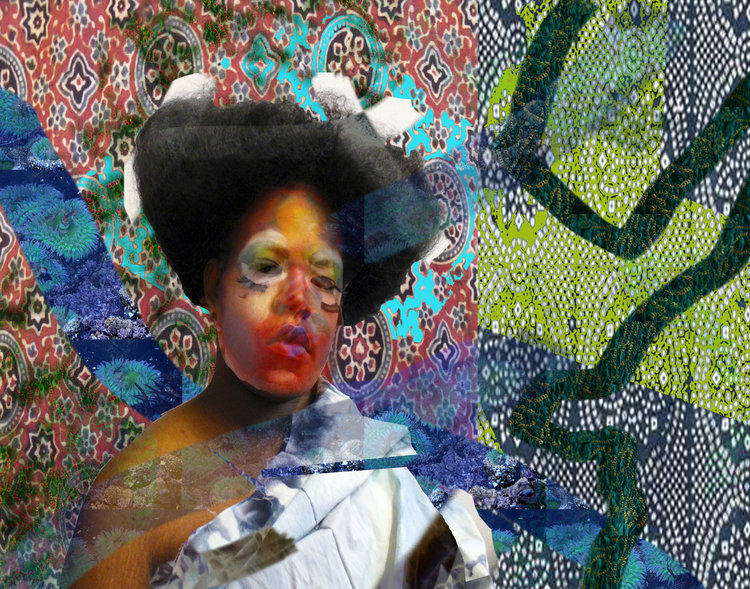 His work is multi-layered, chromatically intense and mixes images of the natural world with reference to hoodoo, queer culture, and Afro-Futurism. He uses his constructed worlds to examine the overlapping spheres of culturally perceived identity and the emotional memory of what it means to be a queer black man, thereby creating a limbic space free from the weighted excepted western cultural reality, and able to examine the unspoken ways systems of power persist.